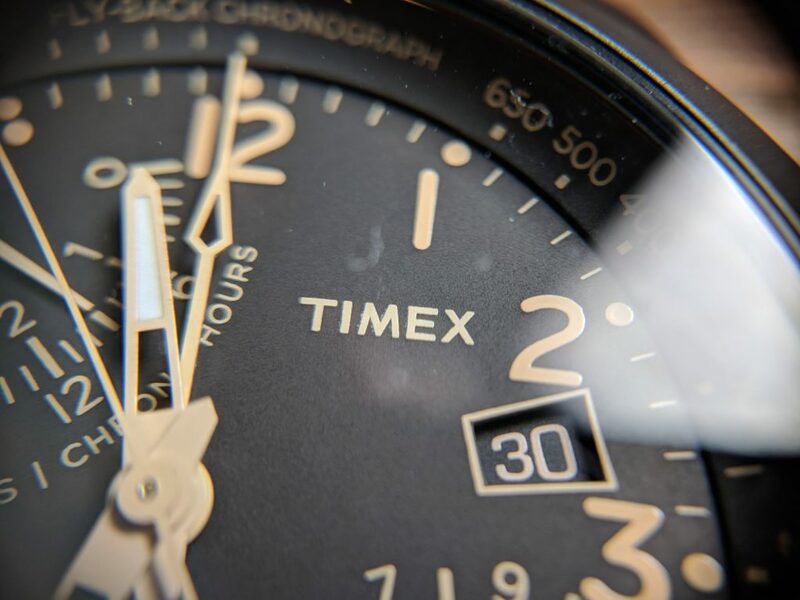 At this point it shouldn’t surprise anyone that I have a soft spot for Timex. 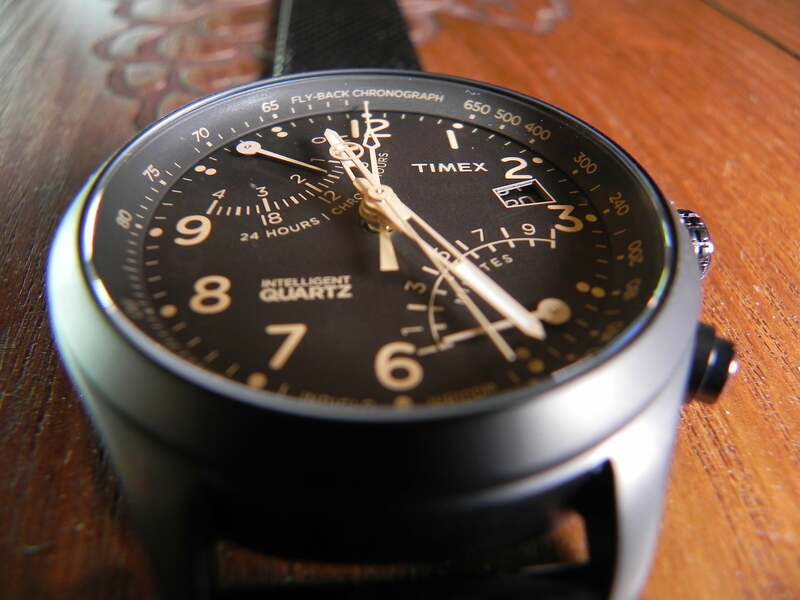 After this will be the seventh review here at relative time, and it’s the third Timex I’ve taken a look at. 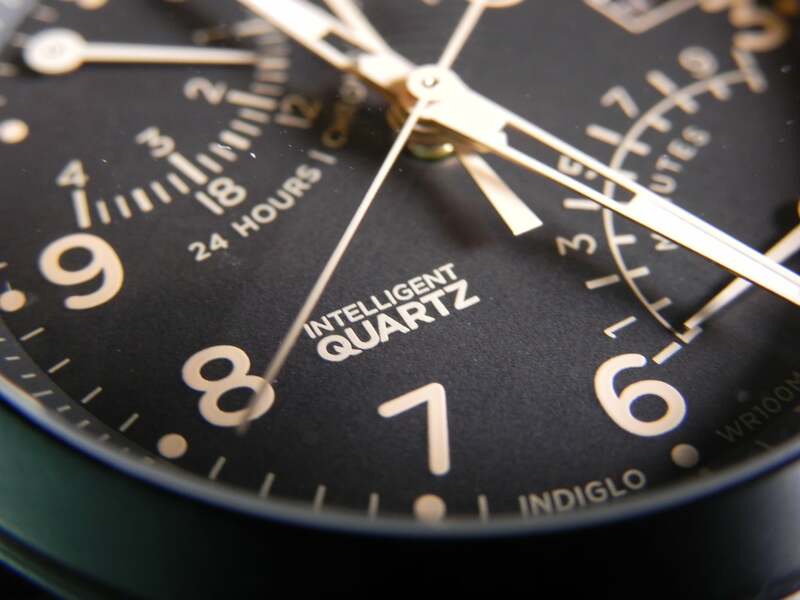 But there is nothing wrong with that, after all they are affordable, reliable, dependable, and look great. 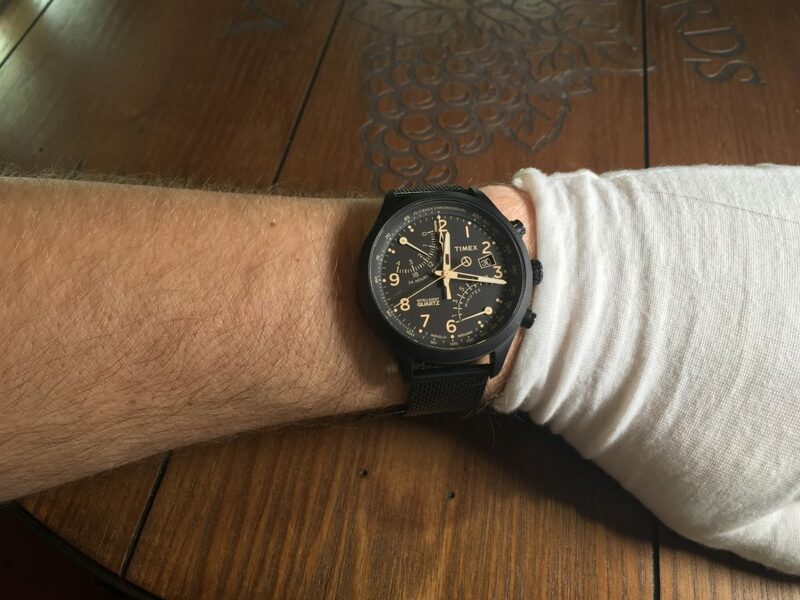 After I saw this watch, I did a quick search on the interwebs. I saw that their weren’t many reviews on this specific model, so I thought I would share my thoughts. 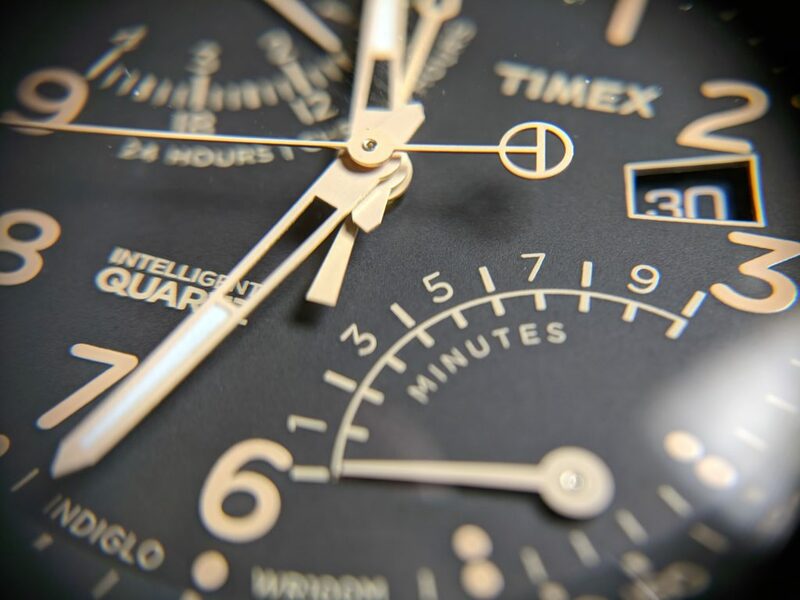 This time I’m looking at a Timex Intelligent Quartz Fly-back Chronograph. 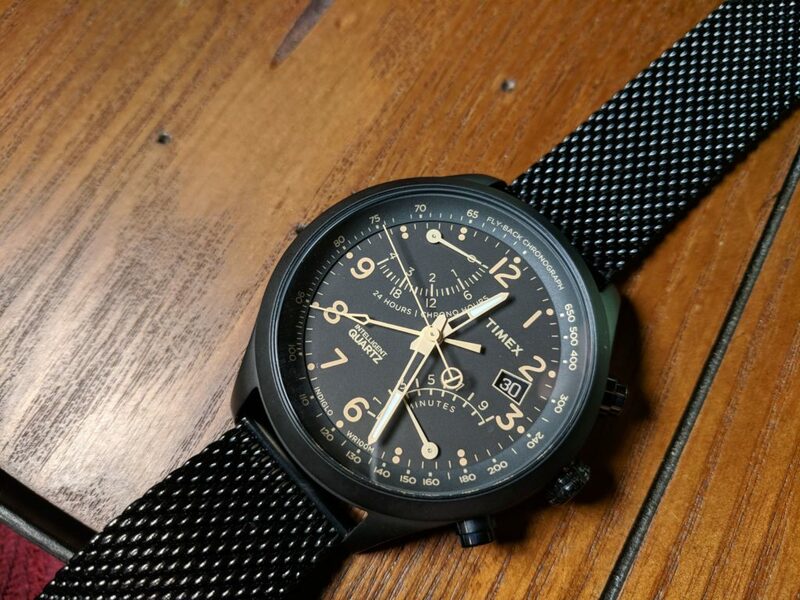 Model number TW2R55000. 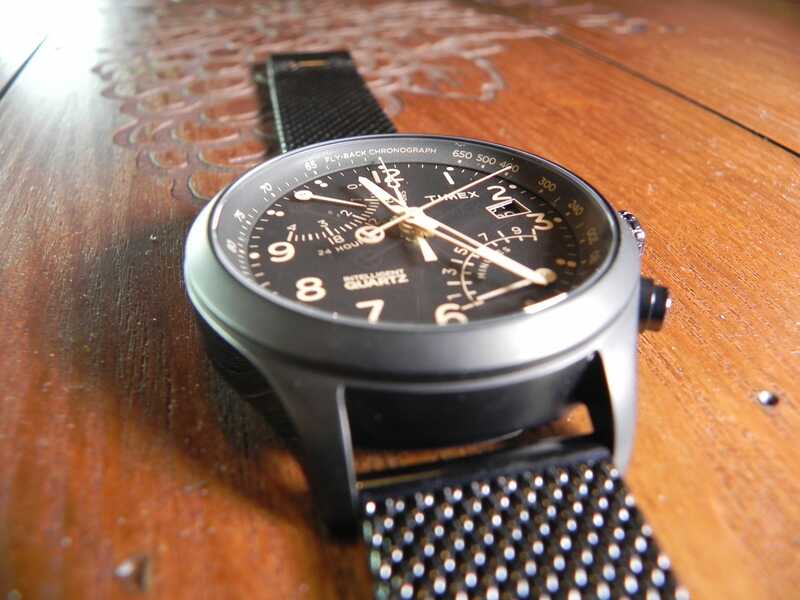 It’s an all black pilot’s style watch. With rose gold hands and markings. 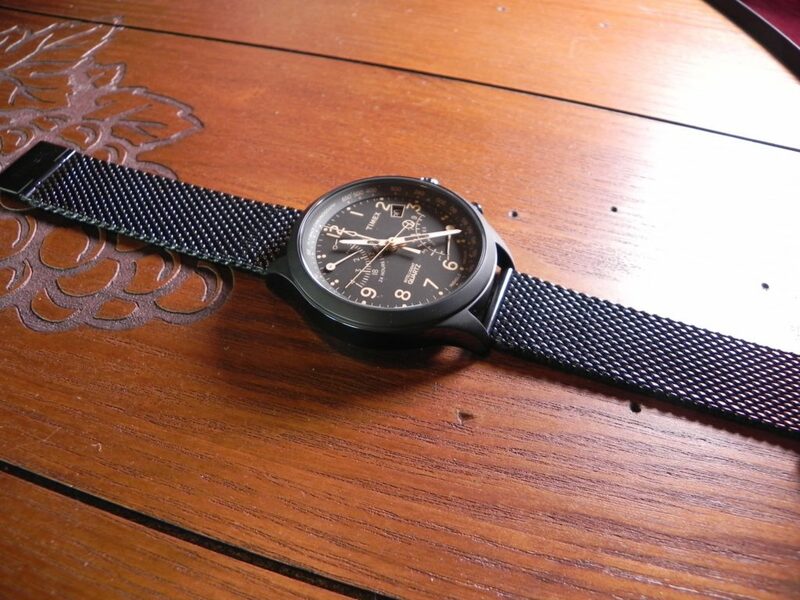 It also has an all black Milanese style mesh bracelet finishing a very bold striking look. 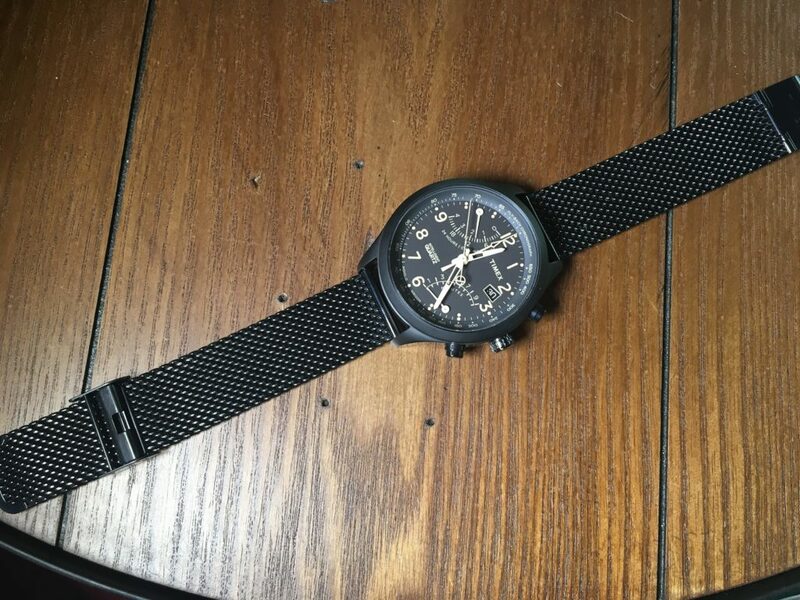 Probably one of the more upscale looking Timex’s I’ve seen. 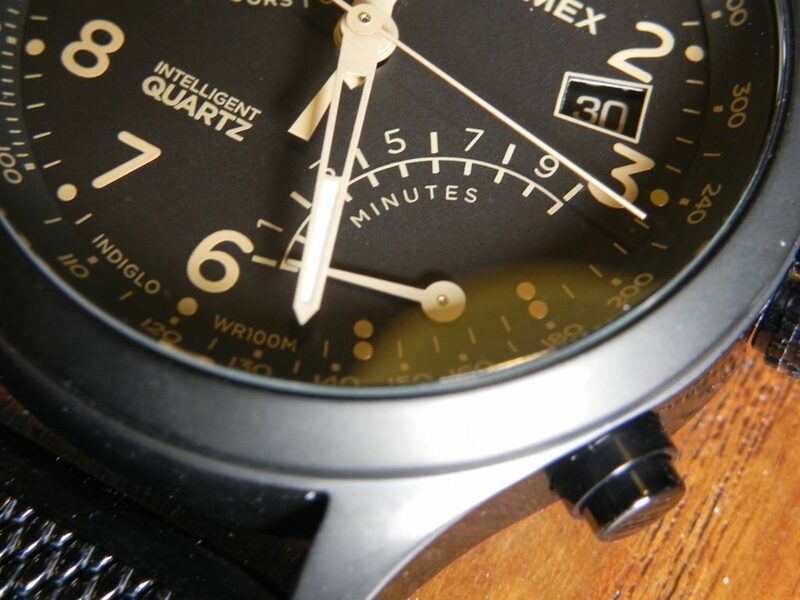 The dial has a date complications, as well as two sub dials for the fly-back chronograph. 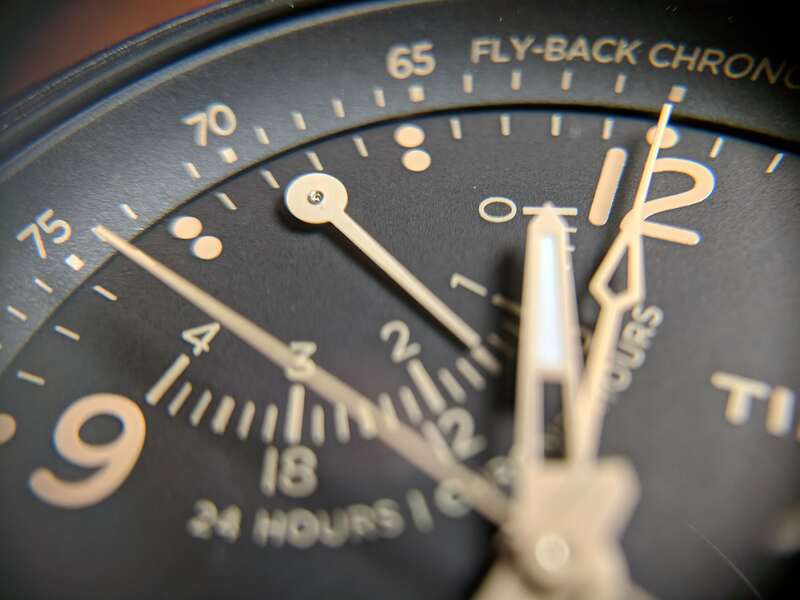 When the chronograph isn’t running, the top sub dial also functions as a second time zone indicator.